Is everything cooler in Japan? 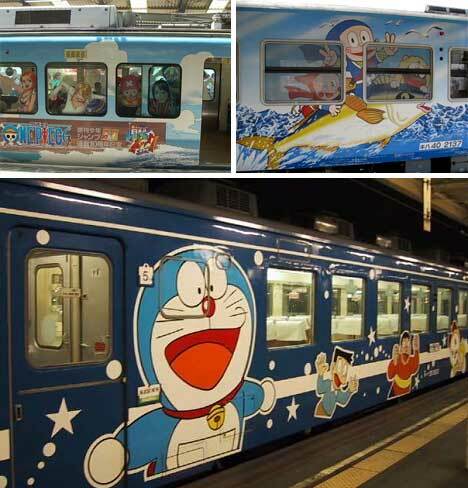 While the rest of the world is riding around in plain, decidedly un-awesome trains (or boring cars, even), commuters in Japan get to enjoy these amazing painted carriages. The country has an impressive 12,000 mile rail network, and some of those trains (though, sadly, not all) are decorated with gorgeous graphics. Wouldn’t trains like these make you more likely to take public transportation? 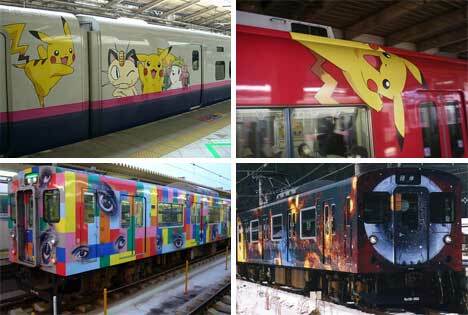 Painted by Japanese artists, the trains sometimes feature well-known anime and manga characters, sometimes they sport advertisements, and sometimes they’re simply roving works of art. They’re often used to promote a product or the upcoming release of a movie, but the graphics are so stunning and eye-catching that one almost doesn’t mind the fact they’re advertisements. The fantastically colorful graphics don’t stop at the outside, either. The trains’ interior walls and ceilings are sometimes painted with the same theme as the exterior. 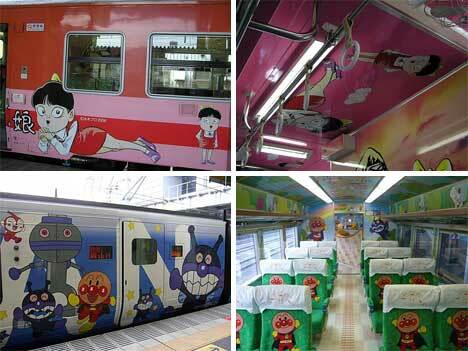 Some trains even feature a full-blown theme including interior paintings, special seat covers and floor graphics. 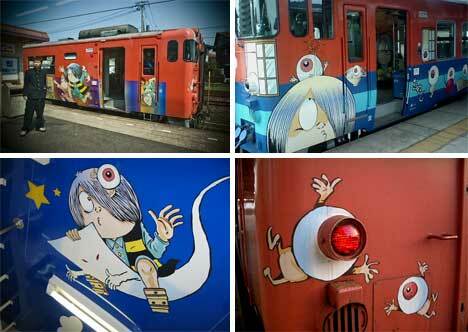 It seems that the gorgeous artwork hasn’t been marred by graffiti (though train graffiti in Japan is not a common sight to begin with), which makes one wonder if the tactic would work in other parts of the world. By inviting artists to liven up public transportation – not just trains, but buses as well – could transit officials save the cost of cleaning graffiti from the vehicles? Whether or not the tactic would work for discouraging graffiti, it seems obvious that sprucing up public transportation would make the daily commute much more fun. See more in Mass Transit or under Transportation. March, 2010.